Scalp Micropigmentation is the only 100% effective solution for hair loss including thinning hair, hairline recession, pattern baldness, alopecia, and hair transplant scarring. Scalp Micropigmentation is a non-invasive treatment that uses detailed micro-needles to deposit pigment into the scalp. The result creates the appearance of tiny hair follicles that help thicken and restore the look of fuller hair. If you are starting to thin, recede, or if you are completely bald, we can give you the look of a short buzz cut. 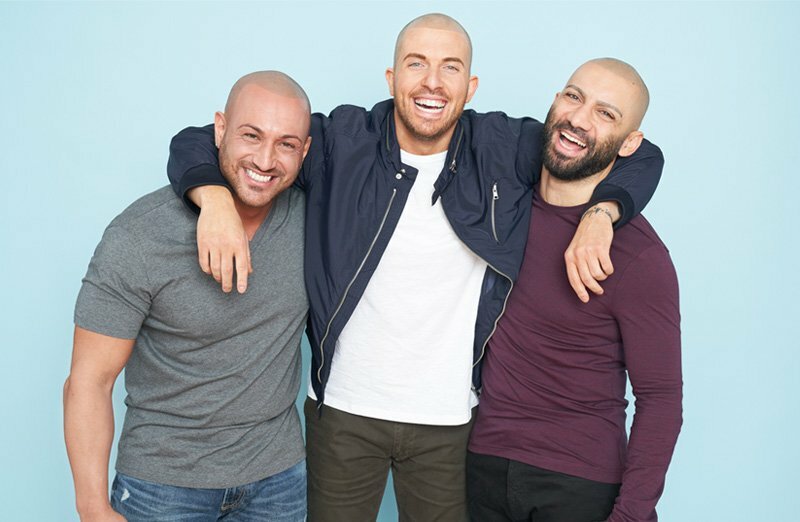 When administered by a trained and licensed specialist, the Scalp Micropigmentation treatment can restore receded hairlines, thicken remaining hair, camouflage transplant scarring, and create the look of close-cropped hair. Scalp Micropigmentation is also effective for those suffering from minor hair thinning or recession. By accurately replicating your own natural hair follicles and hair color, scalp micropigmentation can help strengthen and add density to thinning areas, creating an undetectable illusion of thicker, stronger hair. To create the appearance of hair, Scalp Micro USA practitioners use cosmetic pigmentation and state-of-the-art equipment to create your desired hairline, add density to thinning areas, and blend into your existing hair for a seamless look. Scalp pigmentation requires little to no continued maintenance and carries no strict lifestyle or daily restrictions. It replicates the look of a buzz cut, fresh out of the barbershop. Our clients spend half the time getting ready! Scalp Micro USA allows you to fully customize your treatment, with input on hairline design, style preferences, and final goals. To create the most natural appearance possible, on average, patients receive two to three treatments spaced out 10-14 days between each session, followed by “touch ups” every 4-6 years, if needed. Scalp Micropigmentation is sometimes referenced to as a Hair Tattoo, Head Tattoo, Scalp Tattoo, Micropigmentation, Scalp Pigmentation, Micro Scalp Pigmentation, Micropigmentation Scalp, Hair Pigmentation, and SMP. You will work with your treatment specialist to find the perfect hairline for your face, head shape, and age. 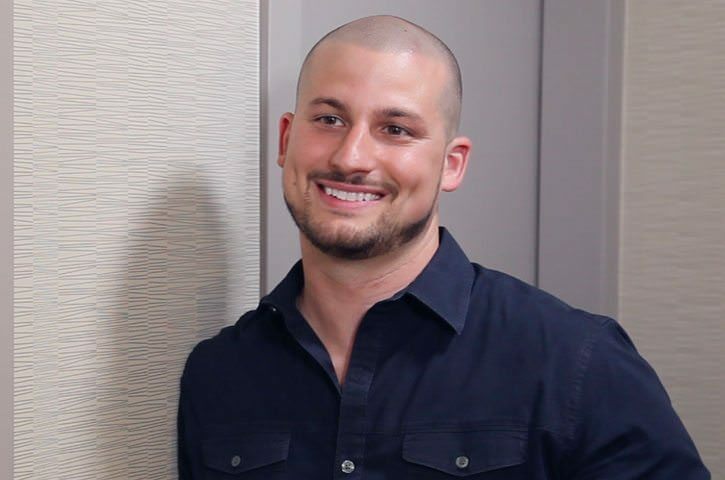 Matthew Iulo was one of the early pioneers in creating soft, natural scalp micropigmentation hairlines that are customized for each client. Our Scalp Micro USA team of expert scalp pigmentation practitioners have been delivering the scalp micropigmentation treatment for 10+ years and have treated over 5,000 SMP clients. Whether you’ve just started thinning or have already lost most of your hair, Scalp Micropigmentation will work for you! Scalp Micropigmentation (Scalp Tattoo) is the ideal solution for those that suffer from pattern baldness and have lost a lot of hair. By creating the follicle look throughout all of the balding areas, a client can achieve the look of a full head of short-cropped hair immediately! Scalp Pigmentation is also great for those with only minor thinning or recession. By accurately replicating your own natural hair follicles and hair color, scalp pigmentation can help strengthen and add density to thinning areas, creating an undetectable illusion of thicker, stronger hair. If you’ve had a hair transplant (FUE/FUT) and are unhappy with the visibility of your surgical scar, scalp micropigmentation can help conceal it. A large percentage of scalp micropigmentation clients seek the treatment to help camouflage strip and FUE/FUT scarring associated with prior hair transplants. In fact, more than 30 percent of our clients at Scalp Micro USA suffer from scars (some of which are a direct result of hair transplant procedures.) Many times these types of scars can be very visible and limit hairstyle options for the individual. Scalp Micro USA is able to delicately deposit pigment into the scar tissue and surrounding area to help blend out and diminish the visibility of the scarring. By accurately matching the color and creating the look of follicles inside the scar, many clients can expect up to an 85% improvement in the appearance of scarring.